EDINBURG — RGV FC Toros midfielder TJ Casner struggles to find an adjective that captures the 2017 season. He knows the Toros have a talented roster, but the team’s results have been mixed. Entering their home finale at 7:30 tonight against Swope Park Rangers, the Toros are just 9-13-7 in the franchise’s second season. A year after finishing second in the Western Conference, RGV FC has only an outside shot at clawing its way into the 2017 postseason. RGV FC opened the year giving up just five goals over its first nine games, ranking at times as the stingiest defense in the USL. As a result, the Toros started 4-3-2. From there, RGV’s back line launched into a long rough patch, yielding 38 goals and posting a 3-10-5 record over the team’s next 18 matches. And now, with just three matches remaining on the schedule, the Toros are hitting another high point, pitching shutouts in their past two outings to knock off two of the Western Conference’s top four teams: Reno 1868 and San Antonio FC. The Toros set a high standard in their inaugural season last year, posting a 14-7-9 record to finish second in the Western Conference standings. Defense was RGV FC’s calling card, as the team allowed just 24 goals — the second-lowest total in the league — while posting a USL record 750-minute shutout streak. This year, the Toros rank 21st in the USL with 43 goals conceded. Many of last year’s central figures reprised major roles in 2017. Forward Kyle Murphy, midfielders Casner, Jorginho James, Eric Bird and Jose Escalante, and defenders Taylor Hunter, Kai Greene and Ivan Magalhaes all played at least 1,000 minutes in both campaigns. But other key players from 2016 were lost to the Houston Dynamo. Midfielder Memo Rodriguez — last year’s leader in points for RGV FC — and defender Kevin Garcia played only sparingly this season after signing Dynamo contracts. George Malki, another defender, also signed with Houston and did not play at all this year after suffering a torn ACL. 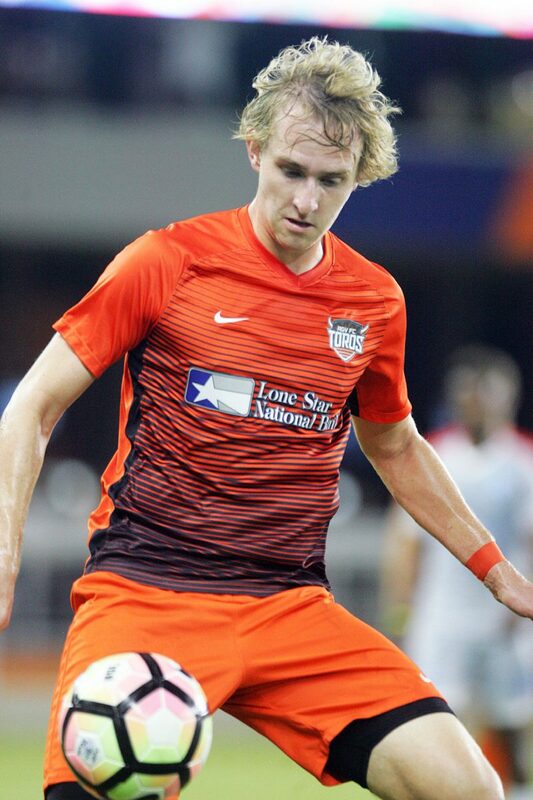 And midfielder Charlie Ward, who played every minute of every match for RGV FC last year, has not appeared for the Toros since signing a Dynamo deal in June. Perhaps the biggest change came in the coaching box. Gonzalez is in his first year taking over for Wilmer Cabrera, who was named the head coach of the Dynamo following the 2016 Toros season. Adding a postseason berth to the list of positives for 2017 seems unlikely. With only three matches remaining — all against teams that rank in the top five of the Western Conference — the Toros need to leapfrog at least three squads and make up at least six points in the standings to vault from 11th place to playoff position. Despite the uphill battle, Gonzalez said he’s never seen his players hang their heads in training. If anything, Casner said, the players are more confident and motivated as a result of back-to-back wins. Forward Ruben Luna admits that the season hasn’t “been as amazing as we wanted it to be,” but added that the Toros are playing sharp entering the home finale.